• Near 0 supply of New Homes in this area. Great Infill area with high demand, and near zero inventory, and comps to support $550k-$700k price point. 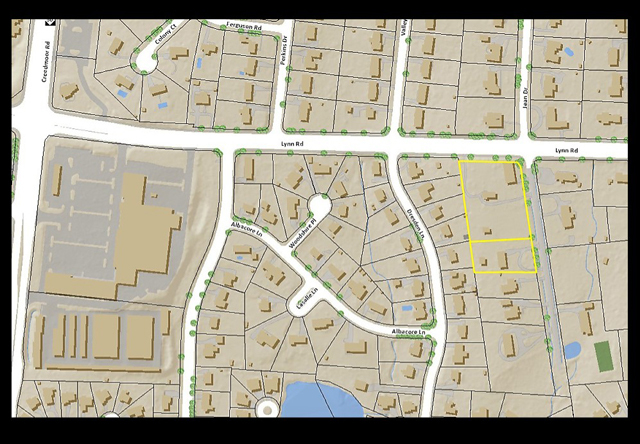 This project is a 3.34 acre site comprised of 2 parcels with existing structures on each parcel. Development will included demolition of the existing structures, installation of storm drainage, installation of tree screening, installation of curb and gutter, and street pavement. Monies are disbursed in a lump sum or drawn as progress payments. Interest accrues from distribution date. Grayson Dare repays principal and interest as individual lots are absorbed with construction loans on pre-sold homes. Investor secured with blanket Deed of Trust on project. Trust, Grayson Dare provides a take down agreement for absorption rate.